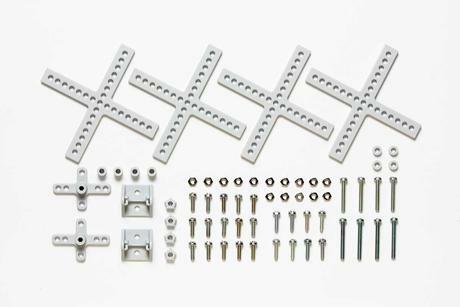 These arm parts can be used in the construction of motorized robots and also as reinforcing pieces for existing models. The arm pieces have holes at 5mm intervals, and can be attached using screws. Cross crank arms and bearings are compatible with 3mm shafts. The cross universal arms are made from easy-to cut material to allow users to make modifications such as L-shaped arms. 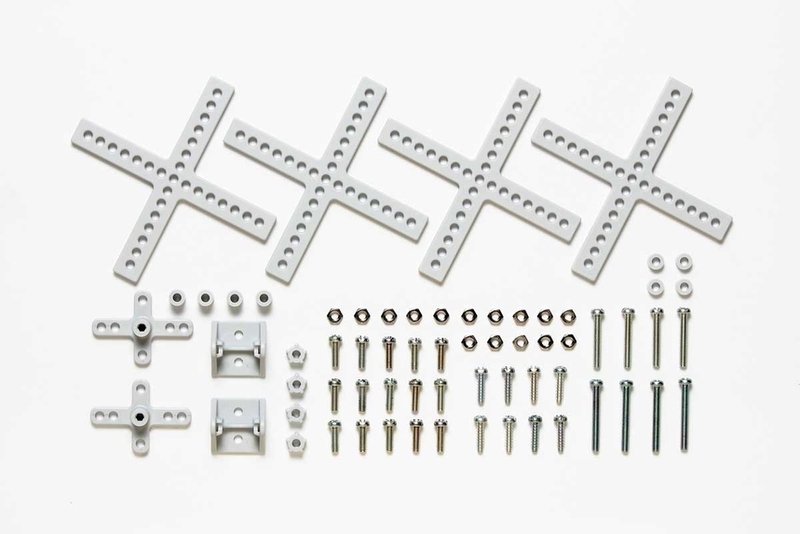 Screws and Nuts for construction.